Shubh and Labh are sons of Lord Ganesha. Shubh means "Goodness" and Labh means "Benefit". 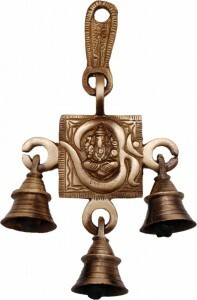 Made from pure brass, this is a set of two hanging bells which can be used in the temple or for Decoration of your home. 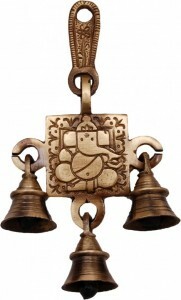 It is also believed that these bells bring good luck to your home.